The surgeon anatomical preparation, today. The study of neuroanatomy and the knowledge acquired from it represent an essential element for the neurosurgeon training. The purpose of using corpse after careful theoretical preparation is to simulate surgical approaches and, therefore, establish surgical corridors to reach areas that may be site of any kind of diseases. This kind of approach is important for the aspiring neurosurgeon because permits to reach structures that he has never, or almost, seen, but also let him to simulate a real surgery using microsurgical instruments. Regarding the first point, a big step compared to the past has been achieved thanks to the development of modern schools of anatomical figures, especially in the United States, using computer-design software with 3D rendering. They can realize models like the one shown in the figure belowe (taken from Cohen-Gadol atlas). This reconstruction can be rotated with a computer. 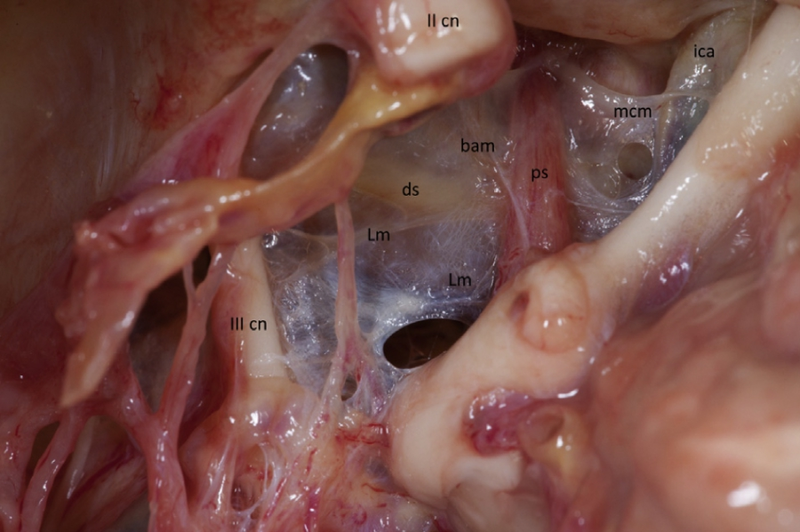 This permits to observe the changes of structures undergoing within the petromastoid part, and adjacent to it, simulating the position that the structures assume when changing the position of the head during surgery. This is a first step in the context of preparation for an anatomy that is changing, becoming dynamic and three-dimensional, closer to the surgical anatomy (1). The second step is the preparation for the dissection that, however, today is quite easy to reach thank to the countless examples avaible on internet, uploaded on youtube by many universities. From several years, the neurosurgeon's anatomical preparation can benefit from laboratories, which are organized with instruments comparable to those of a common operating theatre. The most famous, considered the precursors, are at Cornell University in New York or at the Institute of Neurological Sciences in S. Paolo in Brazil and, in Europe, at the Anatomical School in Vienna, as well as in our country in Naples at the Cardarelli Hospital and in Arezzo, just to mention the best known. Here, "cadaver lab" courses are regularly held. The anatomical dissection on cadaver can be divided in two modalities depending on: the time from the death and the type of conservation of the corpse, which can be fixed in formalin or not fixed ("fresh" up to 48 hours after death), each with its pros and cons. The fixed-corpse is differenet because of its hardness and the limited elasticity (typical for formalin-fixed preparations): the structures are hard and can not be easily mobilized. However, this is not the only limit of the anatomical study on a formalin-fixed cadaver . The interaction between formaldehyde and tissues determines significant qualitative changes in "fixed" nerve structures, that limit the reliability and accuracy of the anatomical study itself. 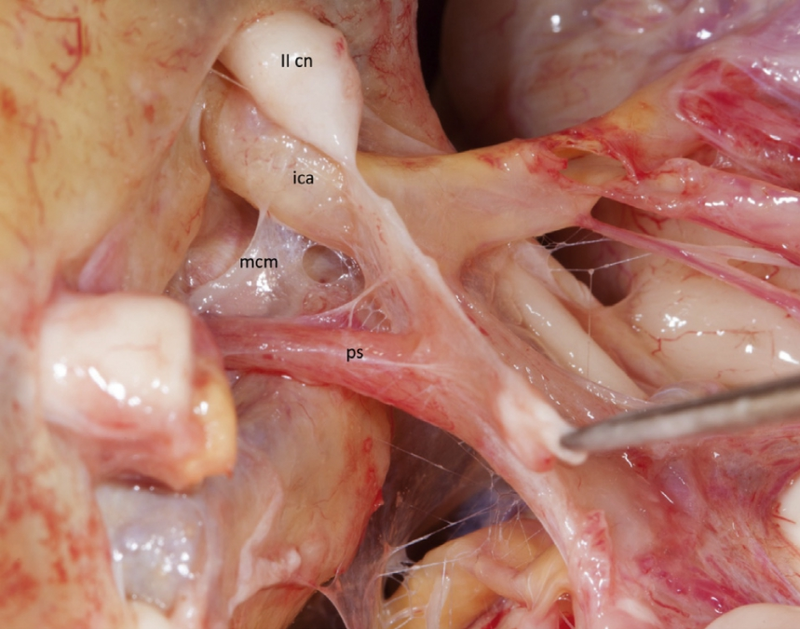 From these important considerations rise the idea of ​​promoting a new anatomical study technique: the dissection on fresh cadaver. The advantages of this technique are innumerable and have been the subject of several studies promoted by Dr. Fishermen and myself. The study of the anatomy on fresh cadaver has been able to define with extreme accuracy what are the advantages and the main limitations of this technique. This advantage is more evident in the analysis of some structures and tissues than others. A characteristic example is represented by the anatomical analysis of the arachnoid membranes and of the cysternal spaces bordered from them. Our experience in this field was very exciting. Referring to the previously speech, it is easy to assert that the study of the nervous structure anatomy, which have not undergone morphological variations induced by the formaldehyde fixation process, is undoubtedly more accurate, precise and it responds to reality more than the conventional dissection methods. In a study carried out on fresh cadaver (Fig. 2) we were able to visualize and describe with extreme accuracy the anatomical organization, the relationships and the location of the arachnoid membranes located near the pituitary peduncle. In particular, it has been possible to describe the existence of a funnel-like cystnural space belonging to the hypophyseal peduncle separated from adjacent cisterns. This detailed anatomical description would not have been possible if the dissection had been performed on a cadaver fixed in formalin. The main difference that we have highlighted in this study is the complete collapse of this cystnetic space in comparative studies performed on fixed preparations (2). The second kind of advantage of the surgical corpse dissection is that is similar to the “in vivo” dissection. In fact, in the “fresh” corpse , tissues maintain their charateristics, similar to living tissue.This means that the mobilization of the anatomical structures and the "maneuverability" of the tissues simulate approximately what happens during the neurosurgical procedures. This does not happen in the not-fixed corpses stored and frozen for a long time: the contact by any instrument with the brain determines its fragmentation, preventing any anatomical observation. Also from this point of view our experience has been promising. In fact, with these dissection methods we have been able to theorize a new surgical approach for the management of Meckel's cave injuries with extension both in the middle cranial fossa and in the posterior cranial fossa. We have shown that removal of the posterior portion of the apex of the petromastoid portion from the posterior cranial fossa allows to gain the entrance to the cranial fossa (extension up to 15 mm) ensuring the possibility of removing the meningiomas between the middle cranial fossa and posterior cranial fossa. Obviously, thanks to the realistic consistency of the mentioned structures, in particular the cerebellum, we could assume that the approach would be practicable even in vivo. The exciting clinical results obtained with this approach confirm the goodness of this method (3). Unfortunately, this technique has not shown yet significant advantages in the study of the white matter (the Klingler technique (4), contrariwise, appears to be superior) and is difficult to use in the analysis of the approaches to the cerebral ventricles. In fact, the fresh brain parenchyma usually collapse itslef promoting the collapse of the ventricular cavities, making it impossible to analyze surgical approaches. Another importante aspect to keep in mind about this technique is the reduced time that is available to carry out the study. In fact, if it is true that a fixed-formalin cadaver can guarantee a high number of dissections on the same preparation, even at different times, in the fresh corpse the dissection must inevitably be completed within a few hours. However, we believe that, the accuracy of the dissections carried out and the possibility of identifying anatomical details not previously noticed with traditional dissection techniques, justify this method of anatomical study. The last dissection technique, the surgical one, represents the last and the most complex way, but it lets us procede, step by step, to afford what we have described before. The anatomical study during surgical procedures has been improved thanks to the live surgery courses by Aron Coehn-Gadol, who has shown a lot of surgical interventions with accurancy, from patient positioning proceding through to the ending of procedure. A real cultural revolution in our field. La preparazione anatomica del neurochirurgo, oggi.